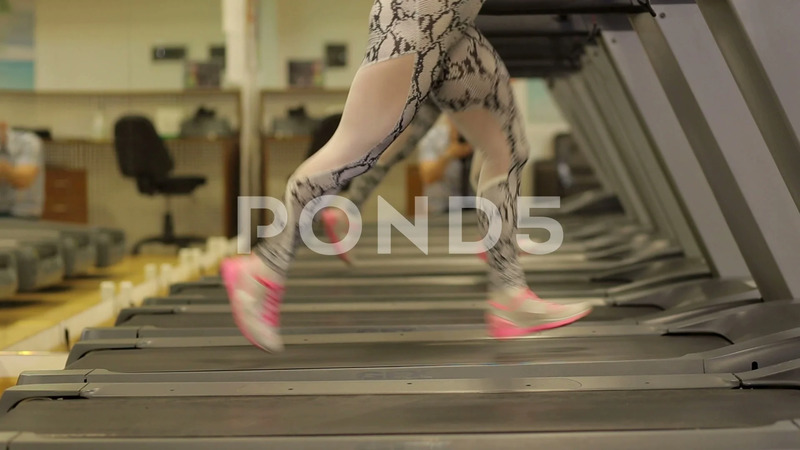 The Girl Runs On A Treadmill In The Gym. Concept For Fitness. Close-Up. Description: Attractive young sports woman is working out in gym. Doing cardio training on treadmill. Running on treadmill. Close-up feet.